58031 • Tamiya Brabham BT50 BMW Turbo • (Radio Controlled Model Archive) • RCScrapyard. Released by Tamiya on September 30, 1982, the Brabham BT50 BMW Turbo was the last Tamiya F1 model with the tried and trusted F1-CS flat pan FRP chassis. Like all the Competition Special models, this car had good speed and handling and in the ever increasing hobby of RC racing was a perfect beginner's car. 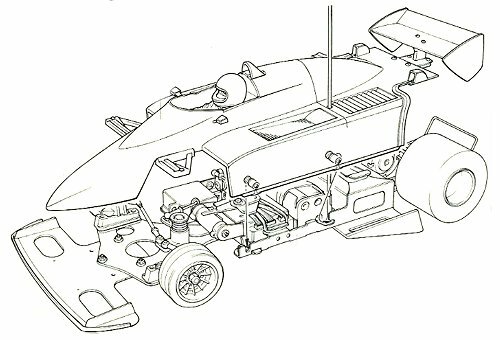 The body shell, as always with Tamiya models, was exact in every detail to the original F1 racing car, right down to the wing mirrors, which are now almost impossible to find if replacements are needed. 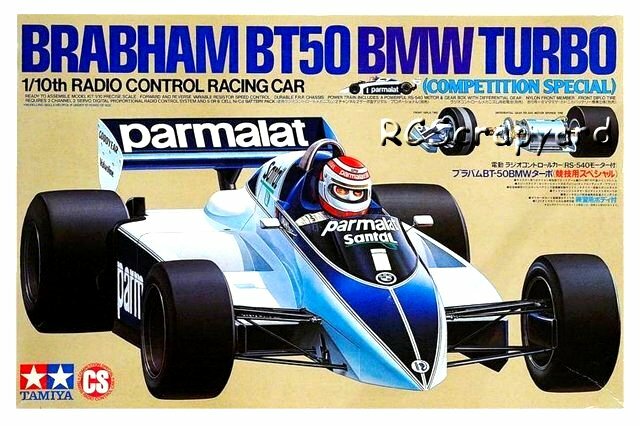 The Brabham BT50 BMW Turbo was not produced in great quantities, hence the extreme rarity of this Tamiya classic. This makes the car very expensive to collectors. Occasionally one will come to auction, but at a price.